See real results today with a customized approach to your workouts during our Personal Training in Dallas. We work with men and women of all ages and experience levels. Get started now! Enjoy constant motivation and a true sense of competition with our high energy Group Training Classes in Dallas. You'll work harder than you ever thought possible. 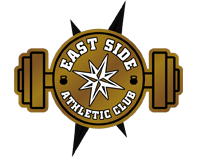 Gain access to our cutting-edge facility in Dallas with an open gym membership to the East Side Athletic Club. You'll get an efficient and effective approach to fitness training.